Facebook embedded posts are now available for everyone, not just launch partners who had access to the feature when it was first announced in July. Anyone using a third party website, including users who post to personal blogs or websites, can now embed a public Facebook post directly into their own site. Users can find the line of code needed to embed a post or video by clicking on the arrow in the post’s upper right-hand corner. 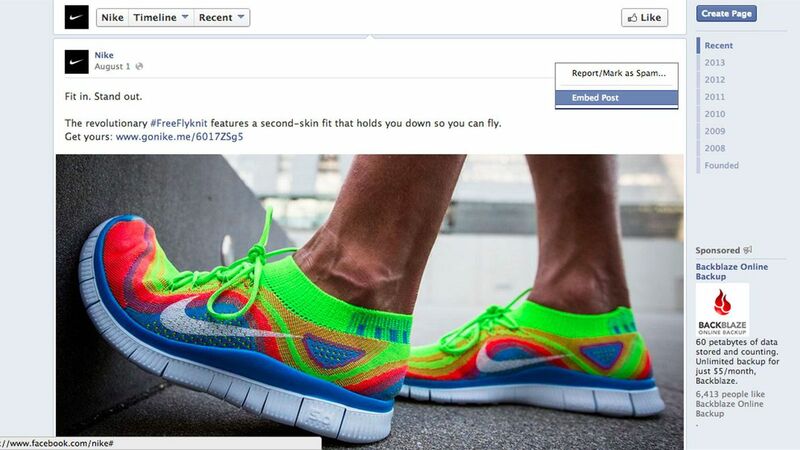 Facebook originally rolled out the feature last month to news publications like Mashable, CNN, and Huffington Post. Feedback from the trial run encouraged Facebook to reduce the width of embedded posts on mobile devices to better accommodate the phone screen, according to a Facebook blog post.